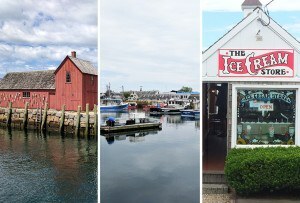 Whether you’re an urban commuter in need of a tune-up or a seasoned cyclist looking for a new set of wheels, you’ll find everything you need to hit the road at these Boston-area bike shops. By Abby Bielagus·	 8/7/2018, 1:15 p.m.
Got a bike problem? Friends and former mechanics J.T. Hargrove and Tom Estrada can solve it. 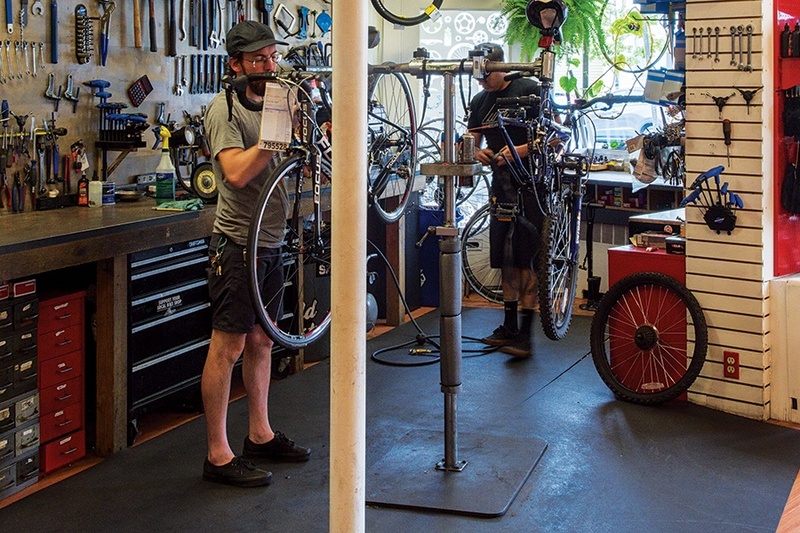 More than a repair shop, their four-year-old Somerville business aims to ensure that cyclists understand what went wrong with their bike and how the issue was resolved, rather than merely offering quick fixes (bonus points for the online booking system). While you’re waiting for your trusty steed, be sure to browse the workshop’s collection of unique apparel and accessories—cotton caps featuring a print by Providence artist Alexa Guariglia are the perfect solution for helmet head. 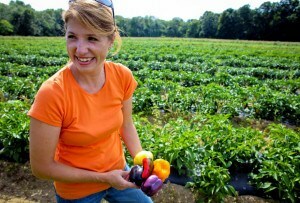 361 Somerville Ave., Somerville, 617-628-0328, somervelo.com. You’ve logged hundreds of miles in spin class but have never dared to cycle on city streets. 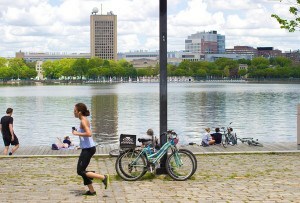 See if you’re ready to trade a stationary bike for the real thing by renting a set of wheels from Cambridge Bicycle. For $35 a day, staffers will outfit beginners in an elegant Linus “Dutchi” or “Roadster Sport” three-speed complete with a helmet, lock, and rear rack for your bag. When you’re ready to commit to your own ride, choose from trusted manufacturers such as Jamis, All-City, and State Bicycle. Must-Buy: Linus “Dutchi 3” steel three-speed bike, $599. 259 Massachusetts Ave., Cambridge, 617-876-6555, cambridgebicycle.com. This deceptively small storefront makes use of every inch of its real estate: Here, wheels hang from the ceiling and even more are stocked in the basement, making it easy to find kids’ models, BMX racers for daredevil teens, and mountain bikes for outdoorsy adults—not to mention trailer cycles for toting extra-tiny tykes. 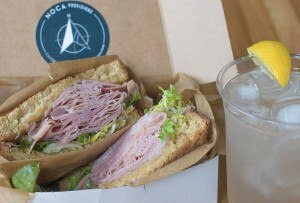 Hungry before a ride? Families can stop by, two-wheelers in tow, for the store’s monthly free pancake breakfast. 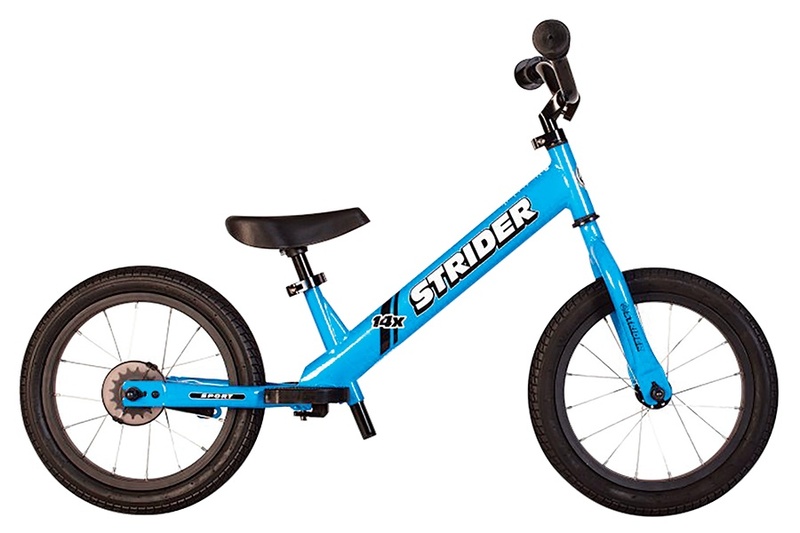 Must-Buy: Strider “14x Sport” balance bike for ages three to seven, $210. 66 South St., Jamaica Plain, 617-524-2453, ferriswheelsbikeshop.com. The selection at decades-old Ace Wheelworks is so vast and specific that even the most veteran road warriors will have no trouble finding exactly what they need. Want a road bike, but for gravel? There are 11 brands to choose from. How about a mountain bike with front suspension? You’ll find seven brands in this category. Electric, hybrid, even tandem—the list goes on. And your experience doesn’t end once you buy the bike: The store hosts an array of group rides and clinics for cycling enthusiasts, including classes on hill climbing and interval training. 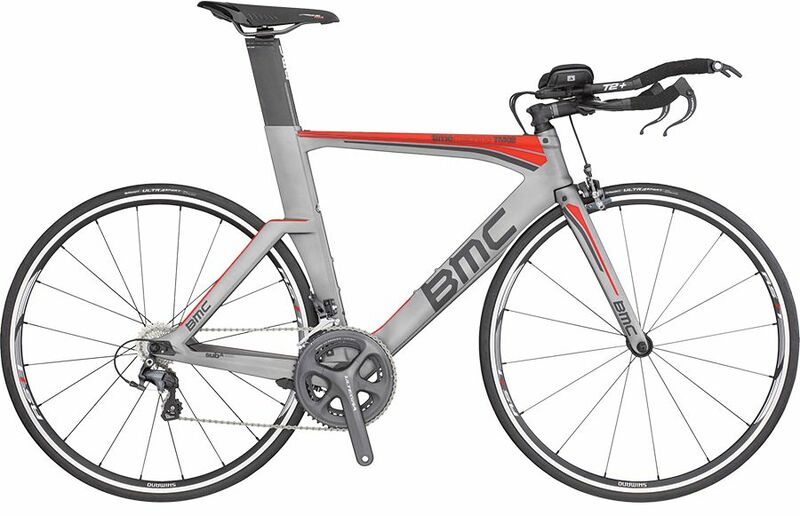 Must-Buy: BMC “Timemachine TM02” carbon bike, $2,299. 145 Elm St., Somerville, 617-776-2100, wheelworks.com. 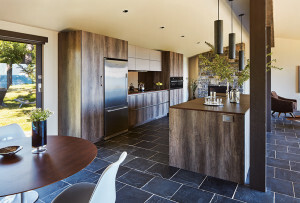 Although some of the most intelligent machines, bikes are also the least complicated. Learn to fix yours at the Broadway Bicycle School, a worker-owned cooperative that’s been providing classes to the “bikecurious” for more than four decades. The regular two-hour sessions cover everything from basic repairs for novices to wheel building and disk-brake seminars for more-advanced cyclists. Those feeling confident in their skills can graduate to renting a truing stand, then use the shop’s tools to fix their bike with or without additional instruction. Must-Buy: Stand rental with tools and no instruction, $24 per hour. 351 Broadway, Cambridge, 617-868-3392, broadwaybicycleschool.com.